R3 is taking new steps to train the next generation of distributed ledger lawyers. Announced February 20, the consortium of more than 200 financial institutions has assembled a team of 10 law firms to create the Legal Center of Excellence (LCoE), a platform for educating lawyers around the world on the fundamentals of blockchain technology and the ecosystem that’s grown up around it. Including law firms such as Crowell & Moring LLP (the legal counsel that helped R3 raise $107 million in venture capital), Baker McKenzie and Perkins Coie, the group has formed to accelerate the rate qualified crypto lawyers are created. Members – also including Ashurst, Clifford Chance, Fasken, Holland & Knight, Shearman & Sterling, and Stroock – will not only collaborate on future projects but will also share what they learn via papers published periodically. The lawyers will receive a number of services, including access to R3’s soon-to-be-launched Corda Enterprise platform. In an interview with CoinDesk, Jason Rozovsky, R3’s senior counsel and head of the new center, sought to portray the move as one that would lay the legal foundation for a wide range of enterprise applications. To accomplish those ends, the members will meet on a monthly basis and will review not only research papers that have not been made available to the public, but also demos of both public blockchain projects – and stealth projects – according to Rozovsky. For instance, last week, members were given access to an early demo of Project Maison, a project co-built with RBS to explore using DLT in the regulatory reporting process. The pilot project, which is being done in partnership with the UK’s Financial Conduct Authority, telecom giant BT and the Cyprus Securities & Exchange Commission, has already been deemed a success and is now in the process of moving to live data. As part of that process, LCoE members were shown how the Corda-based service works, along with a demo of LEIA 2, a previously revealed identity platform co-built with R3 and the Synechron business consultancy. In addition to all this, members will receive a monthly newsletter about one another’s progress and ongoing access to R3’s researchers. 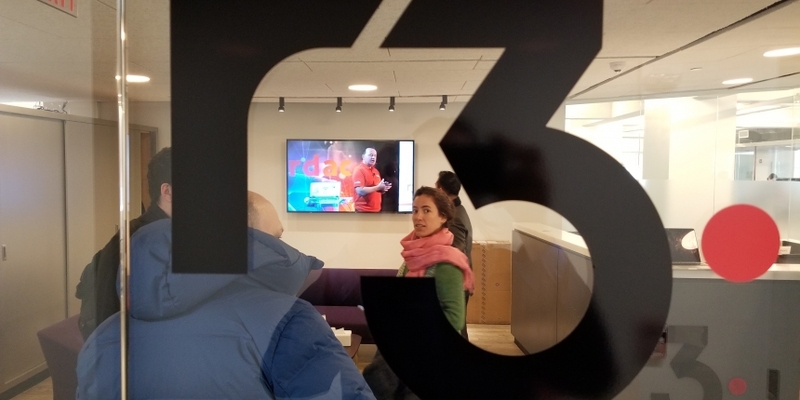 R3, which is managing the facility out of its New York City offices, is not disclosing the fees to join the center, but a requirement for joining is that the law firm has to work in at least one jurisdiction where the consortium has members. While work on helping the lawyers write actual smart contracts isn’t in the immediate future for LCoE, Rozovsky said that could happen down the road as part of more specific working groups. R3’s work to help better educate lawyers in their field is also part of a broader initiative on multiple fronts. First, R3’s Corda Enterprise platform is expected to launch soon with a number of live applications already in the works, marking a major milestone in a year expected to be packed with version 1.0 launches by competitors, including blockchain consortium Hyperledger. Second, and more specifically to the center, getting a group of lawyers together to collaborate is just the latest effort to mobilize global legal experts on industry issues. Last year, another group of 10 law firms, including some of the same members, joined the Enterprise Ethereum Alliance, and helped launch its Legal Industry Working Group. The lure of these groups, according to the head of Crowell & Moring’s blockchain and DLT initiative, Jenny Cieplak, is that in addition to gaining access to the new technology, law firms gain access to support from each other.